If you’re anything like me, when the cold-weather months come around, all you want to do is curl up next to a space heater and enter a hibernation-like state. However, you and I both know that hibernating should be left to the bears, especially when our beautiful town of Princeton is overflowing with places to warm up – and provide some entertainment, shopping, and grub all at the same time. 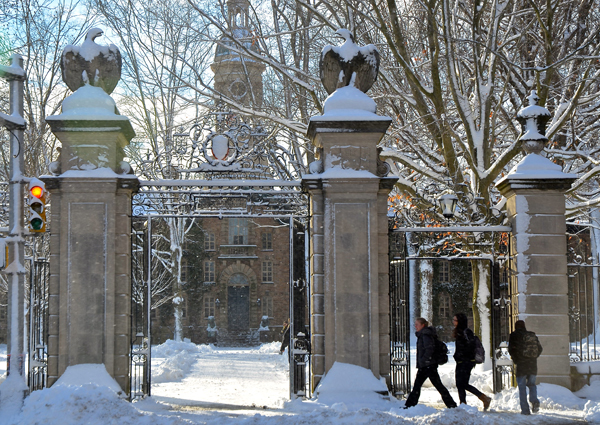 Below, we highlight some of the best places in Princeton to escape the winter’s chill. We’re not sure of the exact temperature of Landau’s store, but we can ensure you that no matter what the degree; Landau’s got you covered…literally. Specializing in high-quality woolens, this third generation, family run store has been keeping its customers warm for the 101 years it’s been in business. Landau offers fine woolens from around the world like shearling mittens and gloves, fishermen knit sweaters, and cashmere blend socks. I don’t know about you, but just listing their products makes my body temperature go up a few degrees. While exercising may not seem like the most relaxing way to get your blood flowing, just think about how good you’ll feel afterwards. There’s nothing like escaping the frigid air with an intense one-hour workout. Did we mention that Orange Theory’s workouts are designed to have clients burn calories post workout. Yes, that means burning calories while drinking that hot coca later in the day. Small World Coffee is so good, there couldn’t be just one location in downtown Princeton. In fact, some would argue that two Small World cafes still aren’t sufficient. 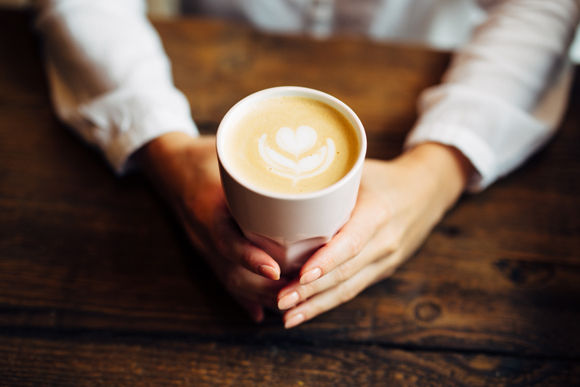 Whether you visit the coffee shop on Nassau Street or Witherspoon Street, the aroma of high quality coffee brews, original artwork, and carefree vibes will encompass you. In short, Small World Coffee is the mecca of all things cozy – and deliciously caffeinated – in Princeton. McCarter Theatre is widely known for its diverse offering of quality theatre, dance, and music events. Located on Princeton University’s campus, it allows patrons to experience the historical school, and then quickly comfy into their theatre seats for a performance. Many plays performed at McCarter move on to spots on or off Broadway, so you’re not only escaping the cold, but you’re potentially getting a first look at a future Broadway hit. From now until February 7, August Wilson’s The Piano Lesson directed by Jade King Carroll is showing, so get your tickets while you can! As the song goes, “The weather outside is frightful but the fire’s so delightful…” and the fireplace at Yankee Doodle Tap Room is particularly delightful. Complete with solid oak booths and tabletops, and a 13-foot Norman Rockwell mural, the Tap Room is just about as cozy as it gets. Its full service bar and connecting hotel, the Nassau Inn, provide no shortage of ways to escape the frigid streets of Princeton at 10 Palmer Square. This luxury spa located in Forrestal Village can provide a few hours of bliss during the doldrums of winter. Among the myriad of spa services Koi provides is an assortment of hydrotherapy treatments that are guaranteed to make you feel summertime warm. The spa’s amenities include cedar saunas, Turkish steam, body spray showers, and a Jacuzzi. So, who’s ready to swap their winter coat for a bathing suit and head to Koi Spa?